Made a couple more, so at least one is available NOW, if needed. Built for the Yamaha 321and uses the Stop valve crook. Spring’s here!! almost all the snow is gone. 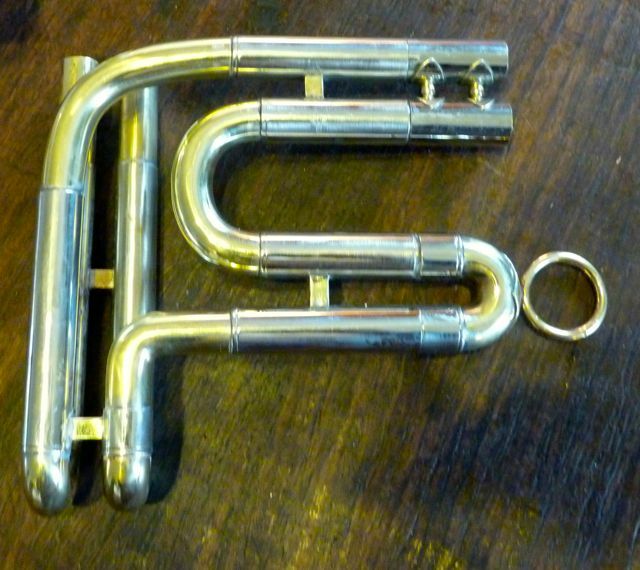 In that blog, near the end I stated: Once someone asked how many parts and soldering procedures are involved in the building of a horn… I’m sure that some horn “mounter” /final solderer using jigs, etc, could answer that, but this little puppy has 22 parts and 24 solder points. 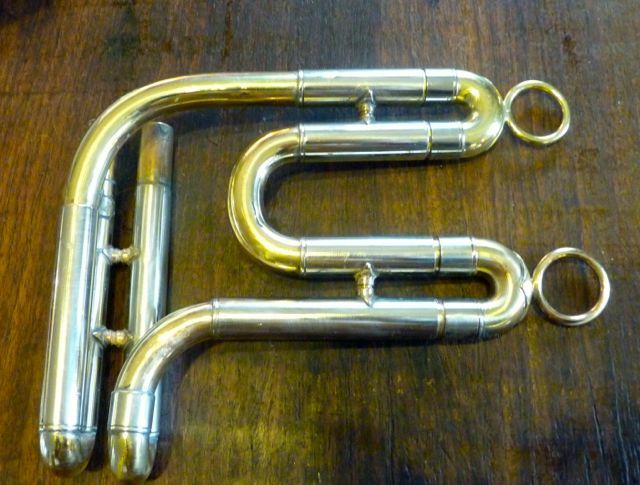 I’ve built F extensions in other ‘wraps’ but they all have more parts, one even used the A crook as a part of the ‘wrap’ so that you wouldn’t misplace it….the extension above used space braces from Conn horns. I’ve several small drawers of braces that I’ve salvaged from horns being worked on/ taken apart, etc. 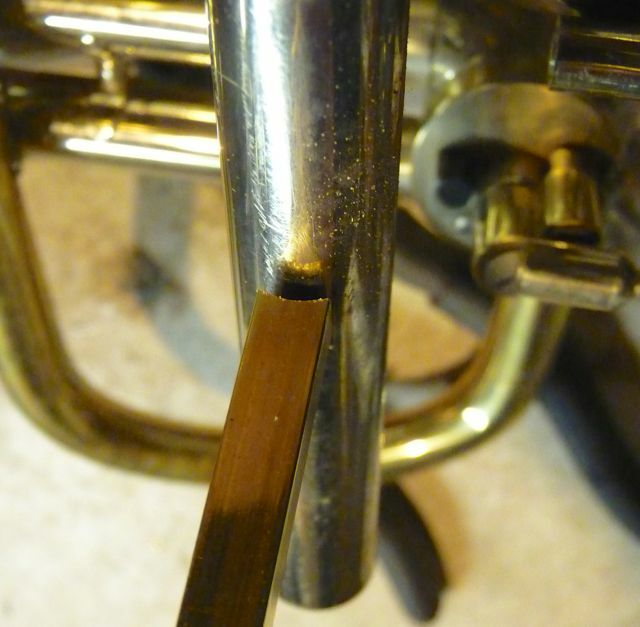 An F extension needs to add about a meter to the length of the Bb horn. I’ve seen ones from 94cm to 105cm. 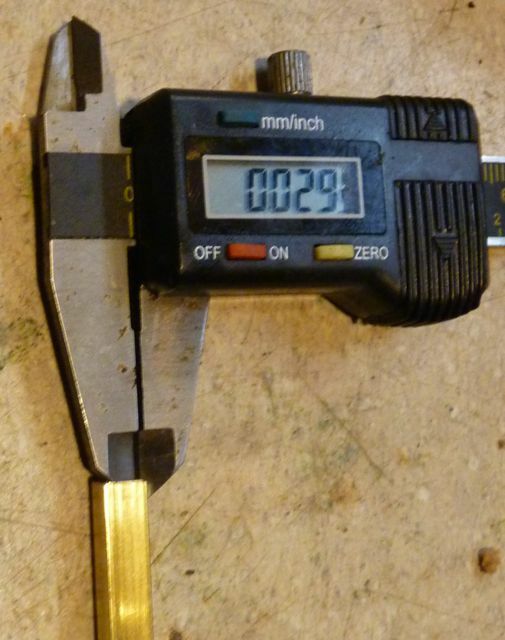 (go figure) This extension has a good amount of tuning adjustment, both with in the crook and at the H spacer. The one shown above was built at the same time that I built the F extension for the Right handed 321. This extension used some other spacer braces. 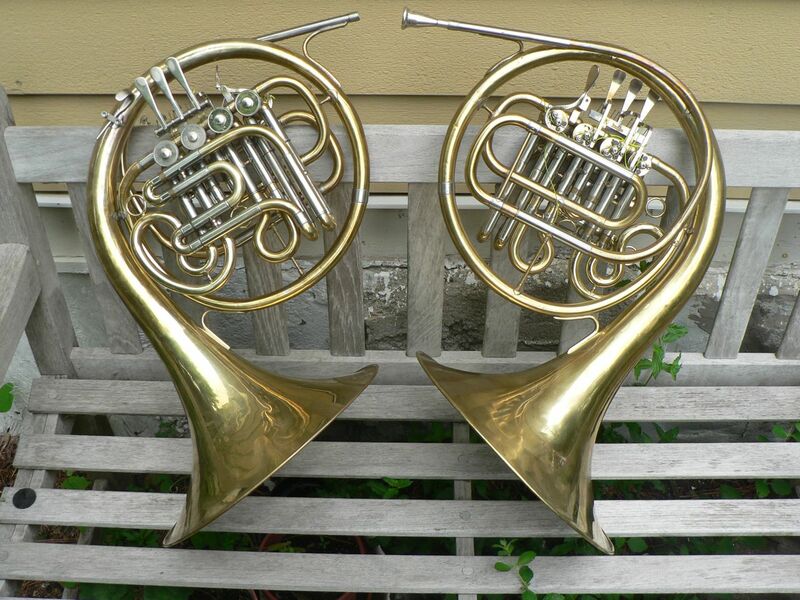 Some from Chinese horns I’ve torn apart for “pet valve” projects. Becoming tired of coming up with spacer braces from my parts supply I considered making braces from other materials. The K&S Precision Metal Co, makes square tubing that is sized to fit inside of the size up or the size down, a good fit. The sizes in this pix are, 3/16 ” sq. 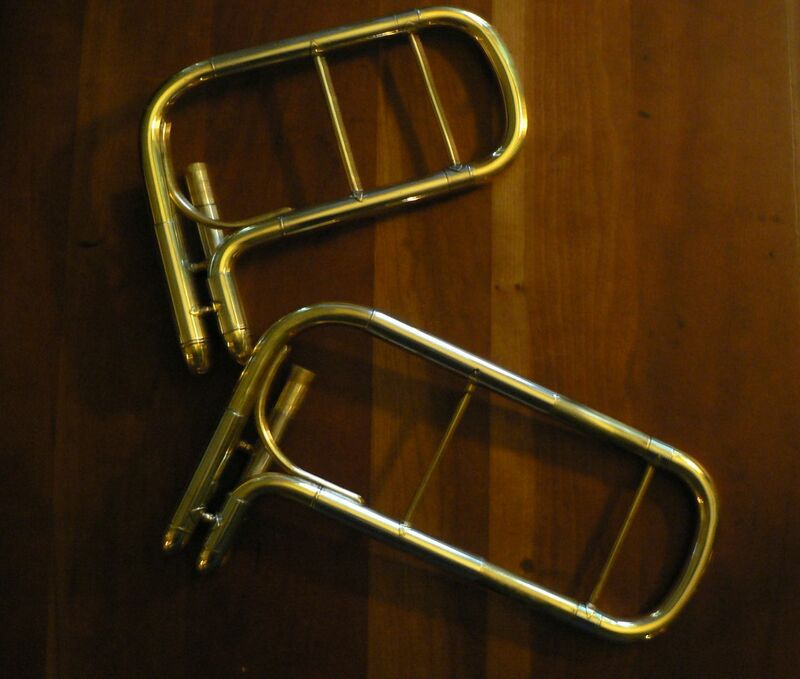 brass tubing inside 7/32″ sq. 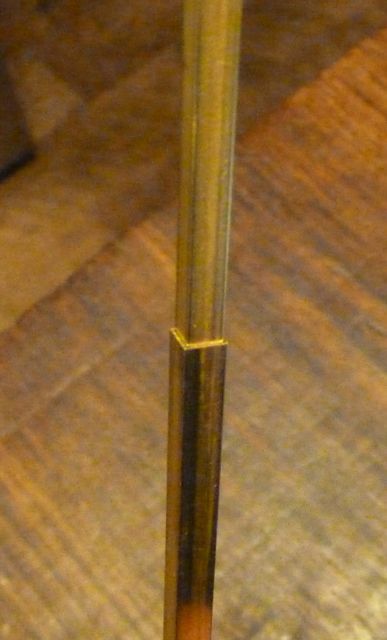 brass tubing. Two tubes soldered together yields a square tube with a wall thickness of .026-.030. 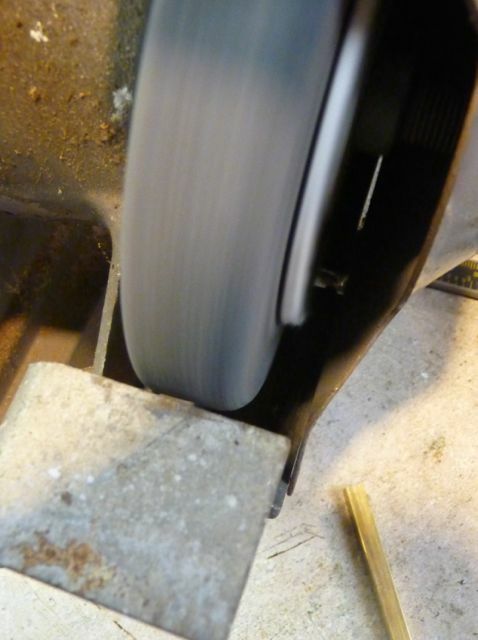 One of the wheels on my grinder has a work wheel that has an outer edge that is rounded Turn on, turn off, and …. grind the end of the square tubing. This is a very close fit to the outside diameter of the NiSi sleeves that the crooks slide in. 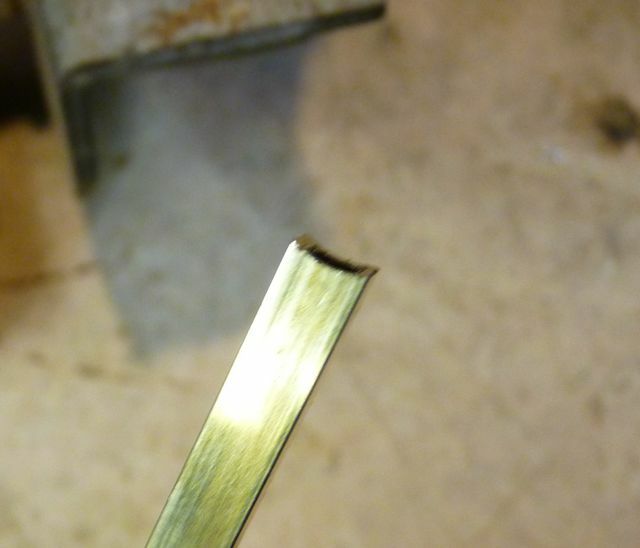 Before you can solder this spacer you have to remove any lacquer from the NiSi sleeve. I cut the spacers a little over length and then fit each one in-between the tubes as needed. I hold the short little piece in a pair of adjustable parallel jaw pliers. 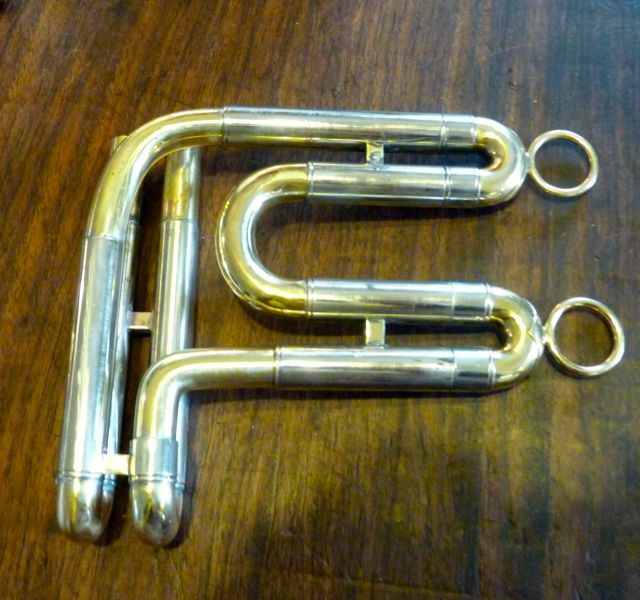 I make these F extensions so that the Yamaha Stop/A slide goes in the upper loop and another, non Yamaha slide goes in the lower loop. 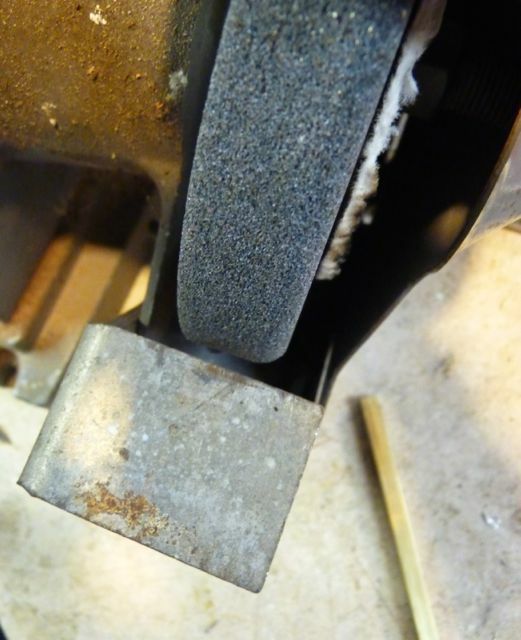 If necessary, you can use the YHR 231’s H crook to extend the F Extension. Personally I find this over length. However some players use the F extension for alternative fingerings out side of the usual F extensions work. i.e. 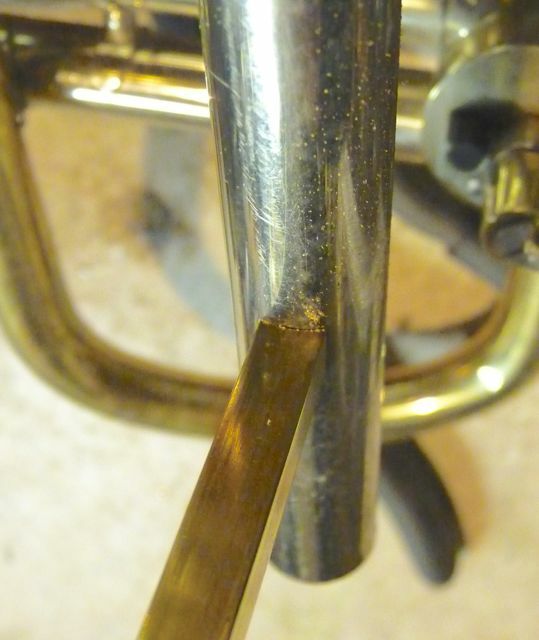 open notes in the key F and the few missing notes within the Bb horn’s lower register. The Yamaha H sleeve adds about 6-8 cm to the overall length of the Extension. 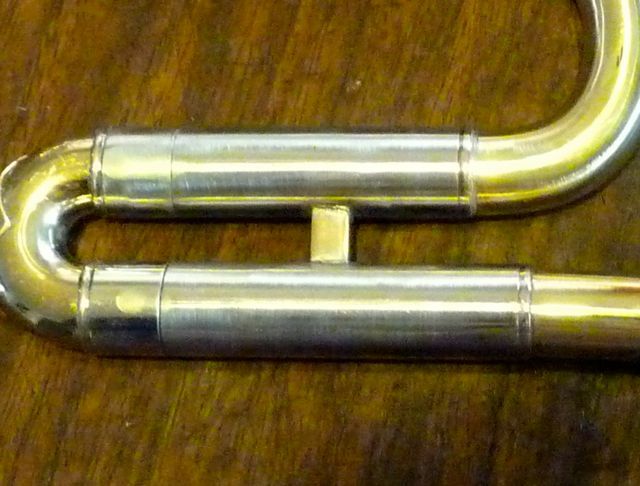 Another way is to leave it in the Thumb valve sleeves and to then insert the F extension into the H sleeve (crook). 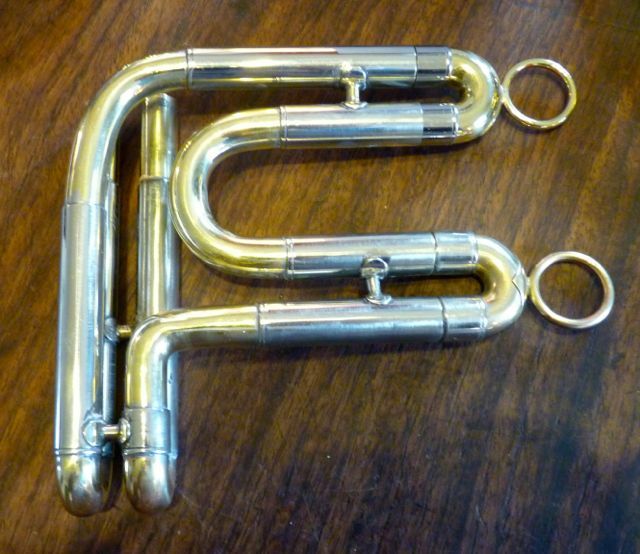 If you play a Bb horn that has a stopping/A valve, generally thumb driven, the F extension gives you almost the entire range of the Horn. 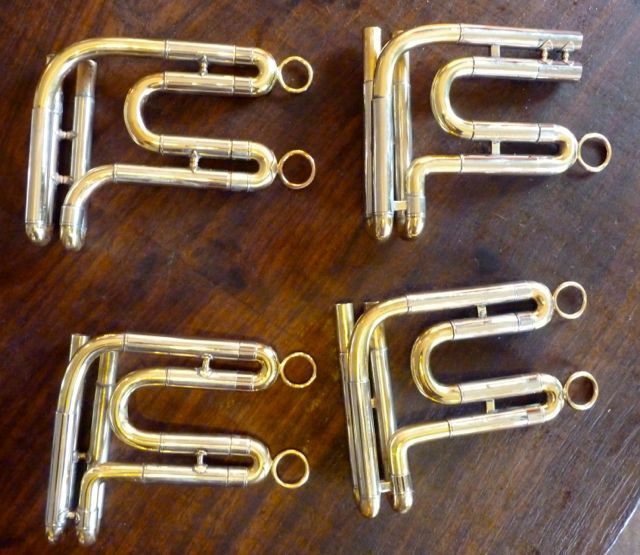 one note, lip-able down is missing and if you have a five valve Bb horn you use all 5 valves for the note. As I recall, having never played it in concert, it is the pedal F#. Correct me if I’m wrong…. as always, any comments, arguments, corrections or just additional blather are welcome…..